As a financial services professional, Lori dedicates herself each day to providing the highest caliber of friendly and efficient service to her clients. She is honored to help the individuals and families she serves pursue financial clarity as they work toward their most closely held life goals. 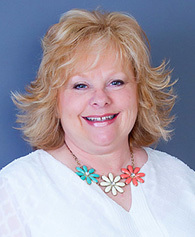 Lori attended Murray State University before beginning her career as a senior accounting clerk in the university’s administrative office. She served in this position for 17 years before transitioning to Edward Jones Investments, where she obtained the role of senior branch office administrator. Lori joined Raymond James in 2018. Originally from Murray, Kentucky, Lori moved to Benton in 1990. She makes her home with her husband, Doug, and their two sons, Lake and Cole. The family attends First Baptist Church, where Lori is active in the children’s ministry. In her free time, Lori enjoys reading, crafts and cheering on the University of Kentucky basketball team.